The Isla de Mexcaltitán and Boca de Camichín, in Santiago Ixcuintla, are the two groups with the largest number of participants, each one with approximately 180 volunteer workers. The 34th edition of the Riviera Nayarit’s Beach Cleanup Network (BCN) took place the same week the destination’s first place position in the number of Certified Clean Beaches was cemented with 12. 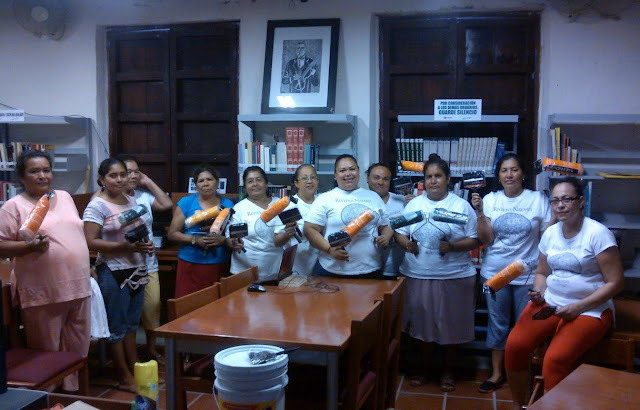 On this occasion, the news was the addition of 120 new volunteers to the cleanup crew on the Isla de Mexcaltitán. This cleanup is done in anticipation of the Holy Week and Easter vacation season, during which thousands of visitors are expected in all of the Riviera Nayarit’s micro-destinations. The Isla de Mexcaltitán and Boca de Camichín, in Santiago Ixcuintla, are the two groups with the largest number of participants, each one with approximately 180 volunteer workers. The average number of participants per cleanup group is between 15 and 20 people. The next cleanup of the Islas Marietas National Park is also being planned and programmed at this time, as it’s best to have it done before upcoming the vacation period begins. Every month the Riviera Nayarit CVB issues approximately 21 boxes trash bags of different sizes, which include over three thousand bags. They also distribute gloves for hygiene purposes and rakes. It’s interesting to note each group has asked each time for less flats of bottled water, as the participants would rather show up with their own reusable containers. The cleanups for this 34th edition of the Riviera Nayarit BCN are taking place in Bucerías, La Manzanilla, Playas de Huanacaxtle, Punta de Mita, Sayulita, San Pancho, La Peñita de Jaltemba, Platanitos, San Blas, Boca de Camichín and the Isla de Mexcaltitán.